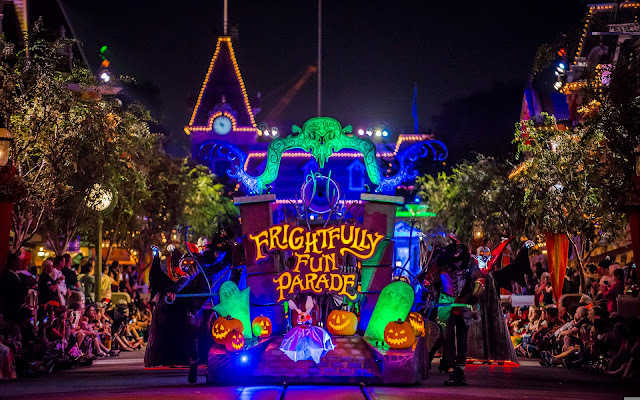 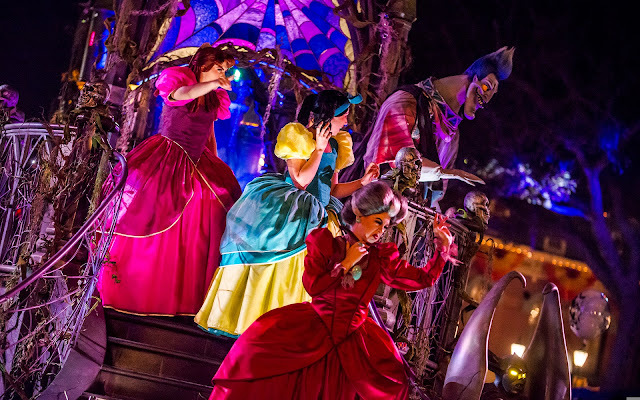 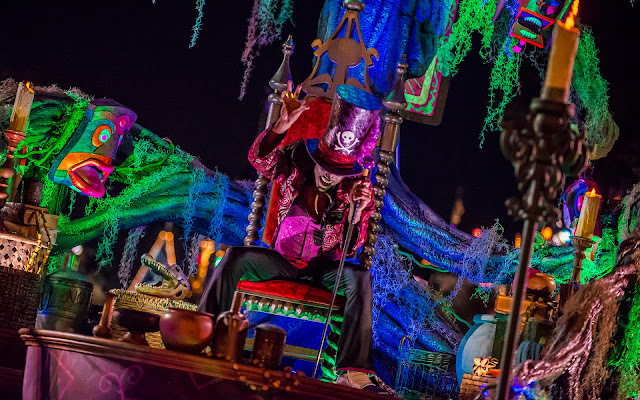 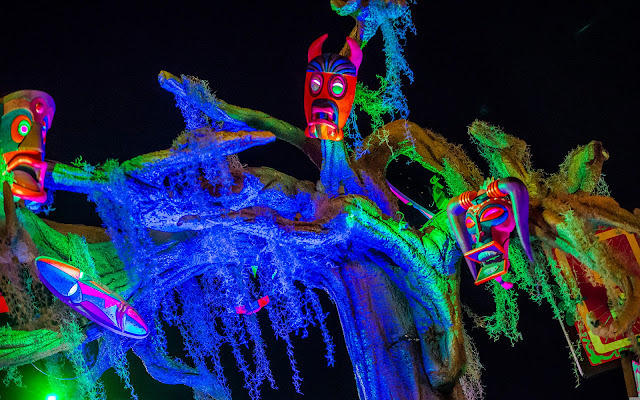 Last year, Mickey's Halloween Party debuted their first proper parade in the original Magic Kingdom's history in the form of the Frightfully Fun Parade. 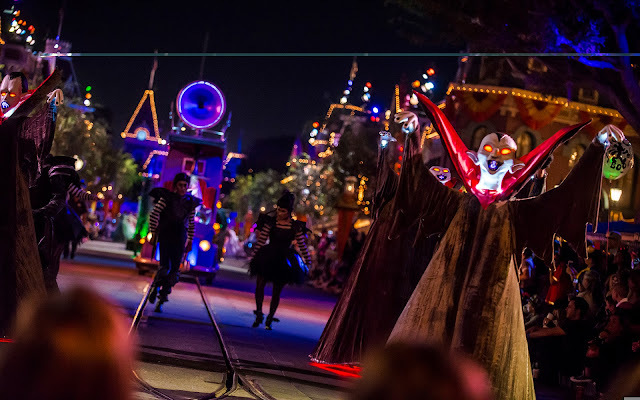 It's quite a fun little procession, and it returns in this year's iteration of the Halloween Party. 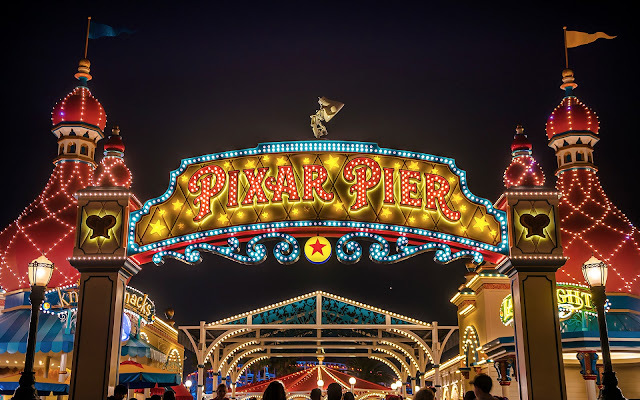 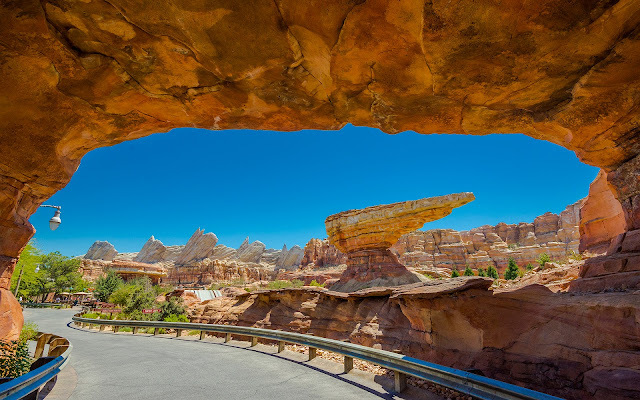 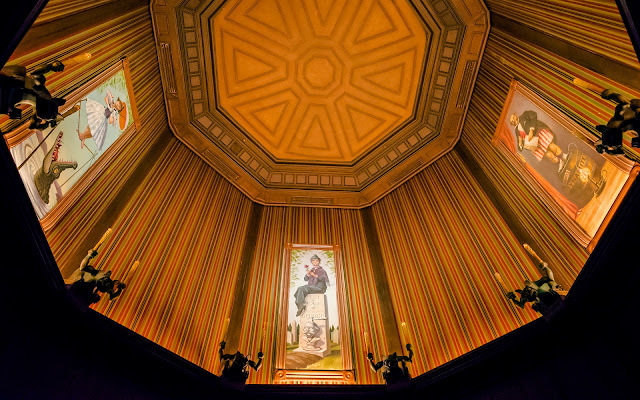 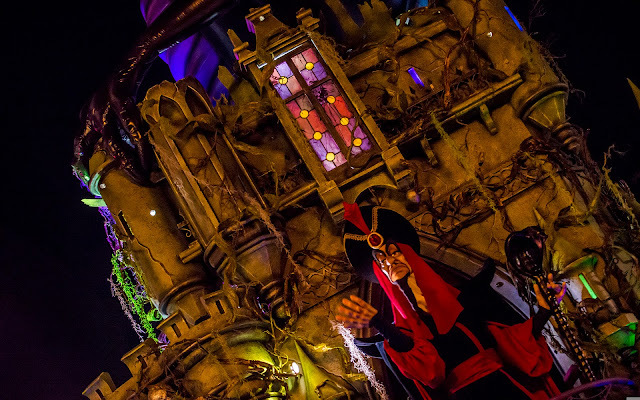 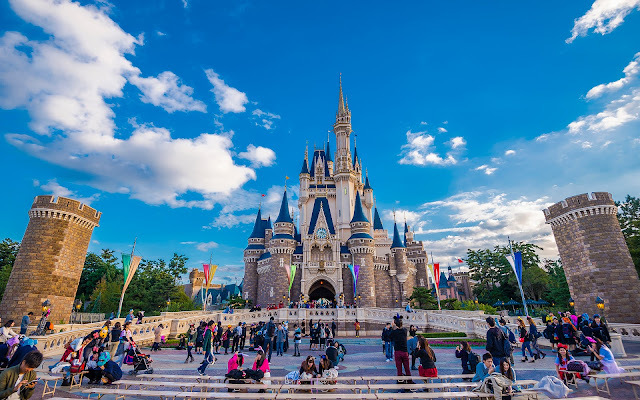 From the ride of the Headless Horseman to spooky Haunted Mansion folks to the Disney villains, there are a lot of fun sights to behold. 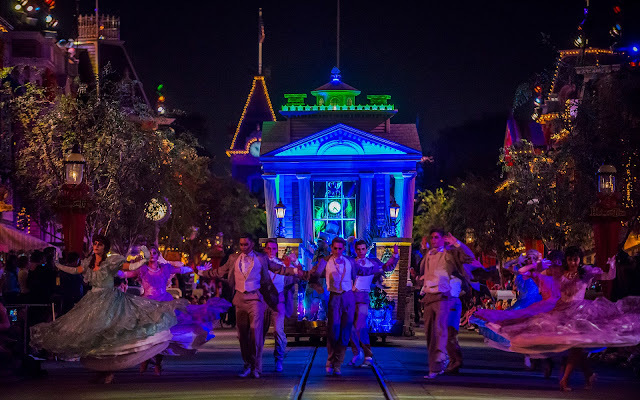 Here's another run through the parade, which you should definitely catch if you attend the separately-ticketed Halloween event! 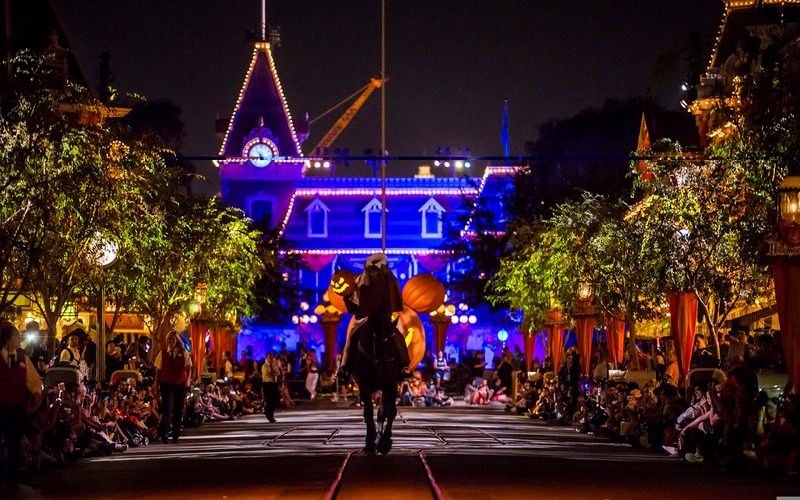 The Headless Horseman opens the parade with an eerie ride up Main Street. 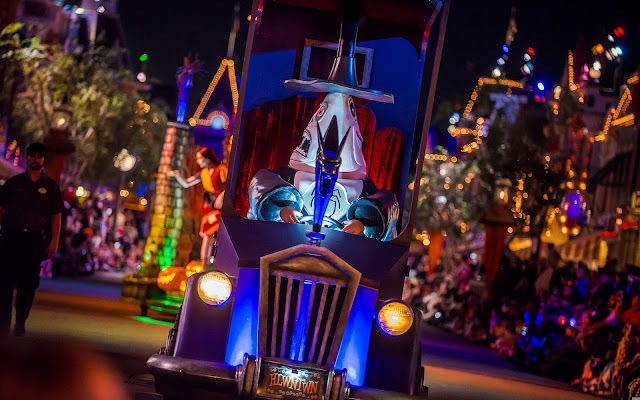 The opening float, adorably dressed up for Halloween. 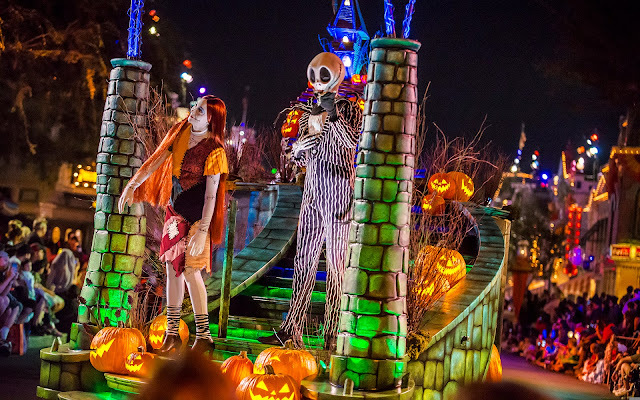 Vampires from A Nightmare Before Christmas usher in the main characters from the movie. 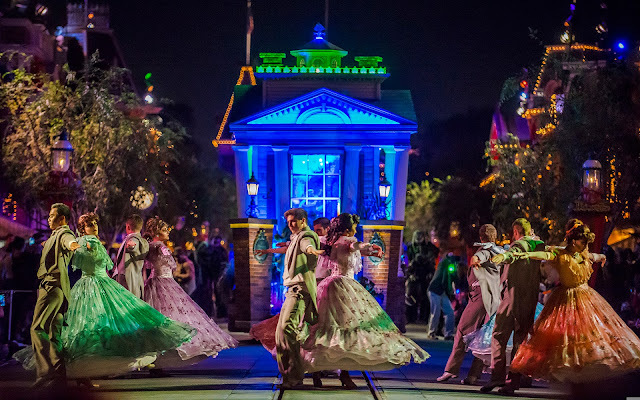 Next come dancers from the Haunted Mansion. 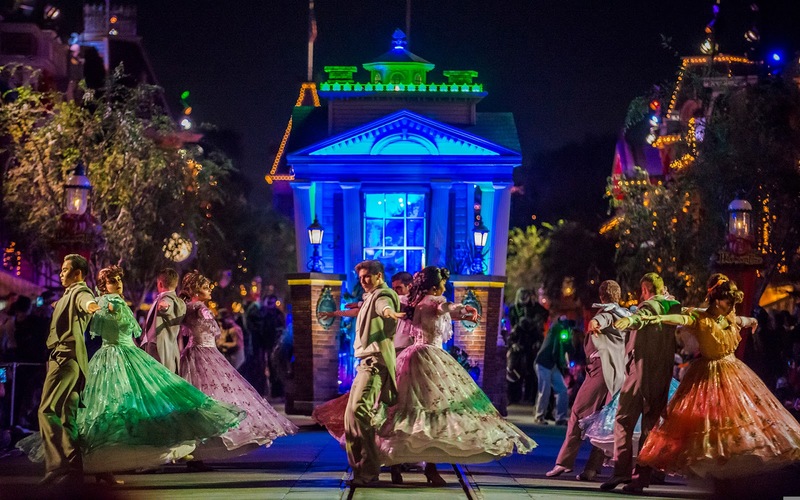 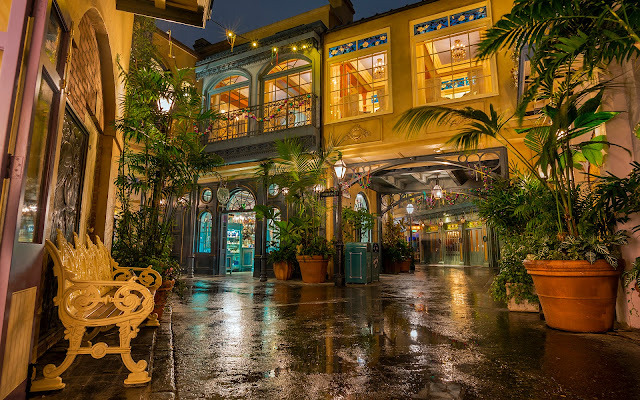 They waltz through the ballroom of Main Street. 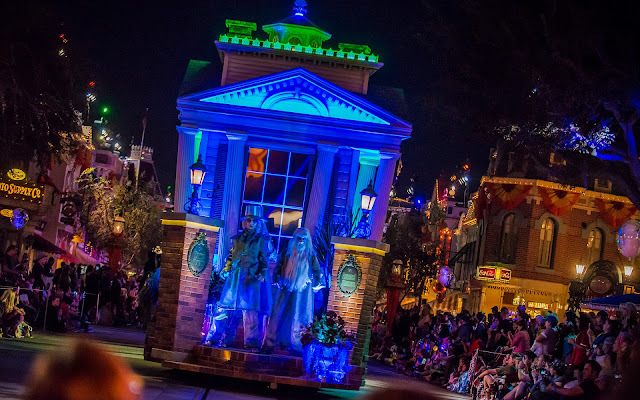 There are the grim grinning ghosts! New creepy crawlies precede Dr. Facilier. 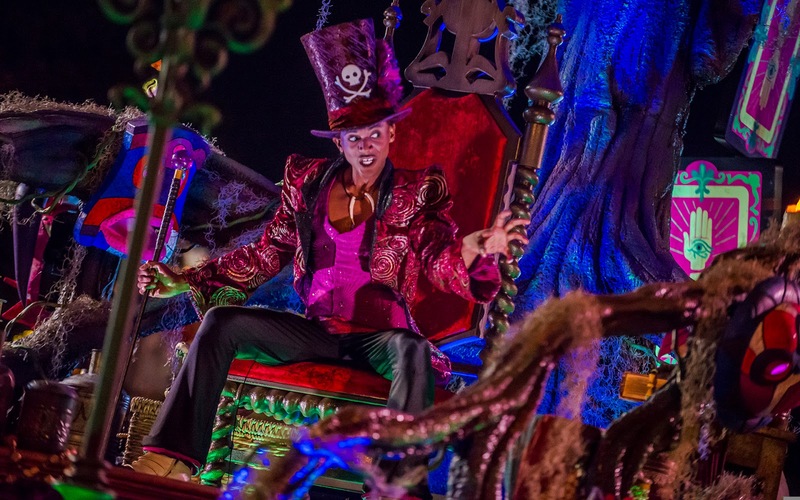 He is quite animated and sinister! 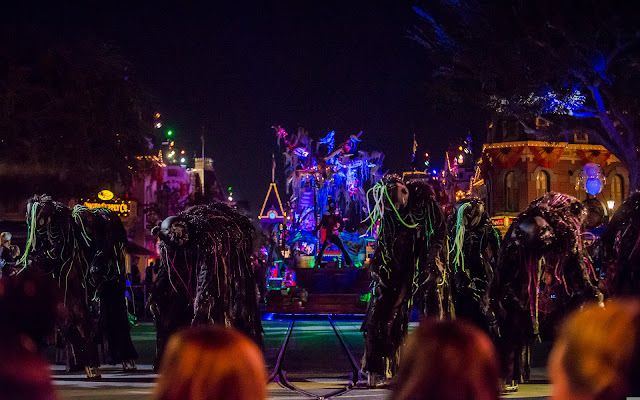 The Tremaines and Hades show up on the final float. 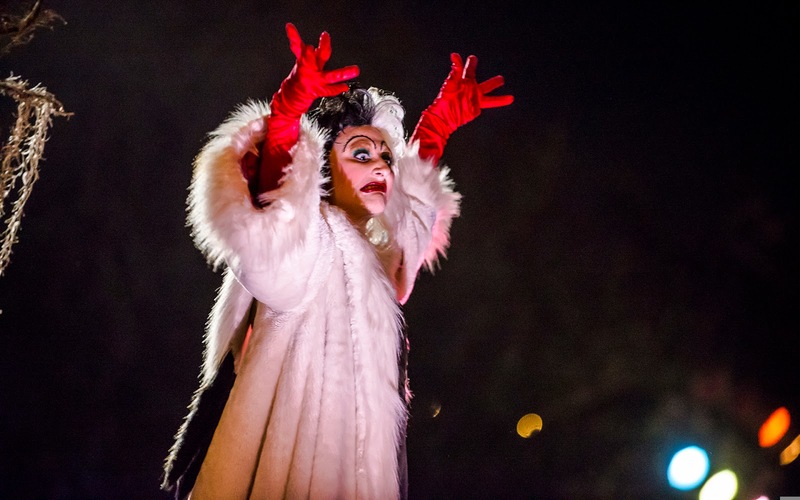 And Cruella de Vil closes things out.